Nicole is registered with the UCKP (UK Council for Psychotherapy) as an Integrative Psychotherapist and with the HCPC (Health and Care Professions Council) as an Arts Psychotherapist. Nicole completed her MA Psychotherapy training at IATE, London (The Institute for Arts and Therapy in Education). IATE are leaders in the field combining Neuroscience, Psychotherapy and the use of the Imagination to enact change. 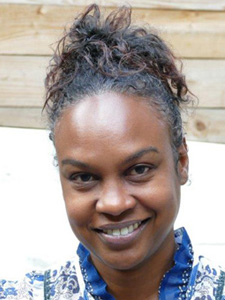 Nicole is passionate about teaching and nurturing student potential and combines tutoring at IATE (Masters Programme) with her work as a psychodynamic psychotherapist in an NHS service with adults. Nicole’s integrative training means she has studied a range of psychotherapies to suit the uniqueness of her client’s needs. These include psychodynamic training, neuroscience and trauma, humanistic, transcultural and further trainings in mindfulness (mindfulness association) CFT (compassion focused therapy), RO-DBT (radically open dialectical behavioural therapy) and CATT (children’s accelerated trauma treatment) a conversion course for adults effected with PTS and PTSD symptoms. At the heart of Nicole’s clinical practice is the development of safety, competence and trust within a warm, robust therapeutic relationship with individuals and groups. She encourages the connectedness of the body and the mind within her therapeutic practice and fosters clients to discover the tools to regulate their experiences of anxiety, stress, chronic pain, depression and traumas. Nicole works in collaboration with her clients to identify treatment aims, deepen awareness of self and relationships, process thoughts and feelings, rehearse new ways of being and renew their potential. Specialisms and interests include; trauma and psychoeducation, eating disorders, anxiety, depression, child sexual abuse and supporting emotional regulation particularly if experiencing personality disorder difficulties. She also has experience working with grief and loss, abuse and relational traumas, identity confusion and self-esteem. Nicole values inclusive practice, this may include, ethnicities, religion, gender, sexual orientation, disabilities, age and class. She is committed to creating a therapeutic environment that explores ‘diversities’ as an important part of how we think and feel. Nicole’s practice integrates her background in leading workshops on emotional literacy and creative learning styles within education, charities and mental health settings. She has been inspired through working with young people, adults and teachers to empower and enact change within organisations over an 18-year period. Nicole continues to utilisise her training as a forum theatre director working on intergenerational projects and storytelling with local community members.